Mike Bozzi grew up in the music business. His father was a radio program director in New York and Los Angeles, and later worked at a major record label. This upbringing gave him a unique view of the music industry, from recording, live performance, to broadcasting, marketing and promotion. It was from this broad view of the industry that Mike discovered his desire to pursue a career in music, beginning with early jobs as an usher at the Greek Theater, as a manager in music retail, and as an intern at A&M Records. Mike was hired at Bernie Grundman Mastering in 1992, as a part time quality control engineer. 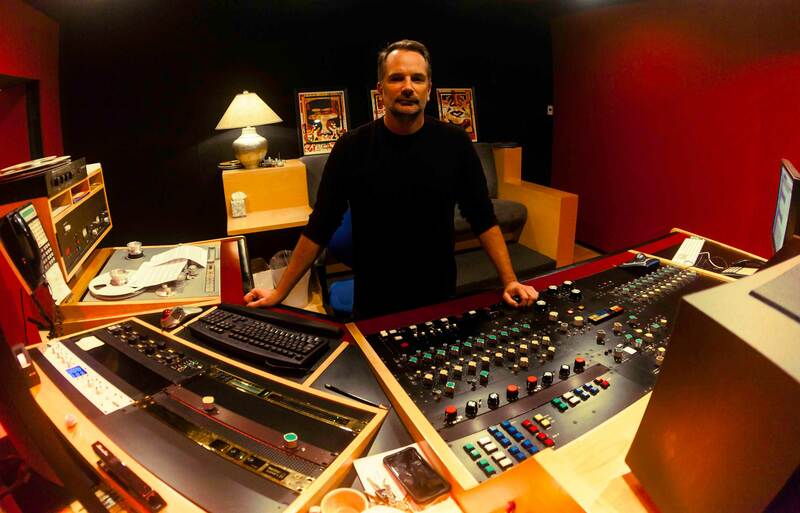 This entry level position gave him an opportunity to listen to a broad range of music styles and approaches to sound and mastering by engineers Bernie Grundman, Brian "Big Bass" Gardner, and Chris Bellman. His duties not only involved critical listening and quality control, but the process of creating the final production master for duplication. Shortly after his hire, Mike was offered the position of assistant engineer to Brian "Big Bass" Gardner and remained his production engineer for the next 20+ years. Over those years, he assisted on many platinum selling and Grammy winning albums from artists including Prince, Janet Jackson, Linkin Park, Dr. Dre, Eminem, Outkast, Katy Perry, and Christina Aguilera. Upon Mr. Gardner's retirement, Mike was chosen as his replacement and took over his studio at BGM in November of 2015. Mike has mastered multiple platinum selling and Grammy nominated albums. He earned his first Grammy nomination in the Album of the Year category in 2014 for Kendrick Lamar's "Good Kid, M.A.A.D. City" and his second Album of the Year nomination in 2016 for Kendrick's "To Pimp A Butterfly". His other mastering credits include Schoolboy Q, YG, Snoop Dogg, Ice Cube, Tupac, Linkin Park, Young Buck, and many more.